Built sets, green screen, black box, white out and black out cyc walls. 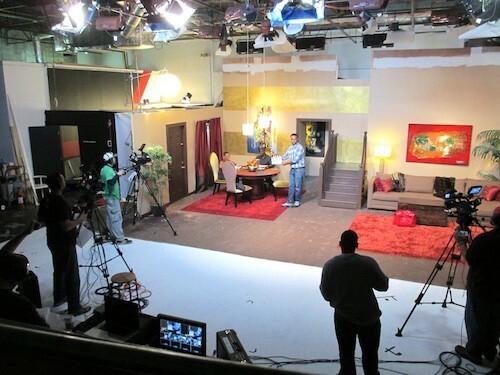 Studio Space Atlanta was built for your film production. We have the largest permanent green screen cyc wall for rent in Atlanta. 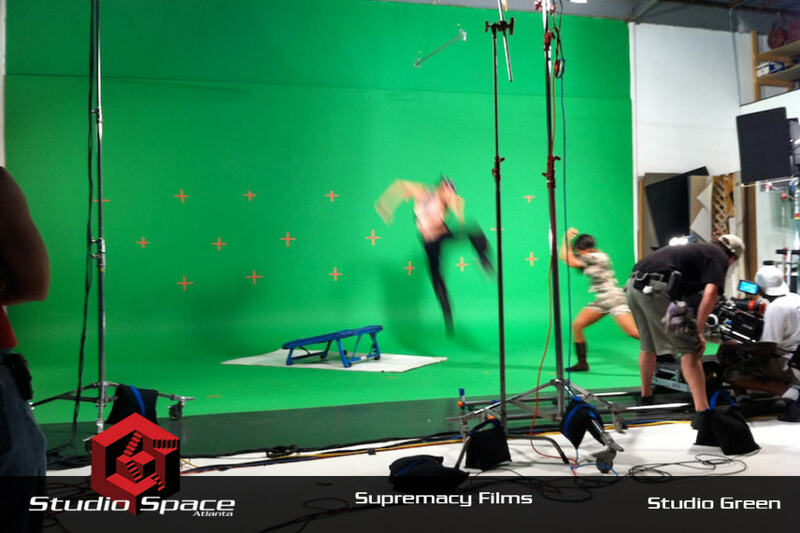 If your film production calls for chroma key effects our large green screen studio will certainly fit the bill. Our green screen studio is equipped with 600amp power distribution, a lighting grid at 15ft with 5 pre-hung 2k cyc lights, vehicle access, wardrobe and much much more. When your production needs a particular set built, our Studio 2 is the right place for it. Studio 2 is equipped with 360º black stage curtain on tracks as well as 600amp power distribution, a lighting grid at 15ft and much more. Don’t want to truck your equipment around? Rent all the gear you need from our in-house Grip and Electric department. Want a grip or gaffer that is familiar with our facility? Call or email us and we will fill in the needs of your production. 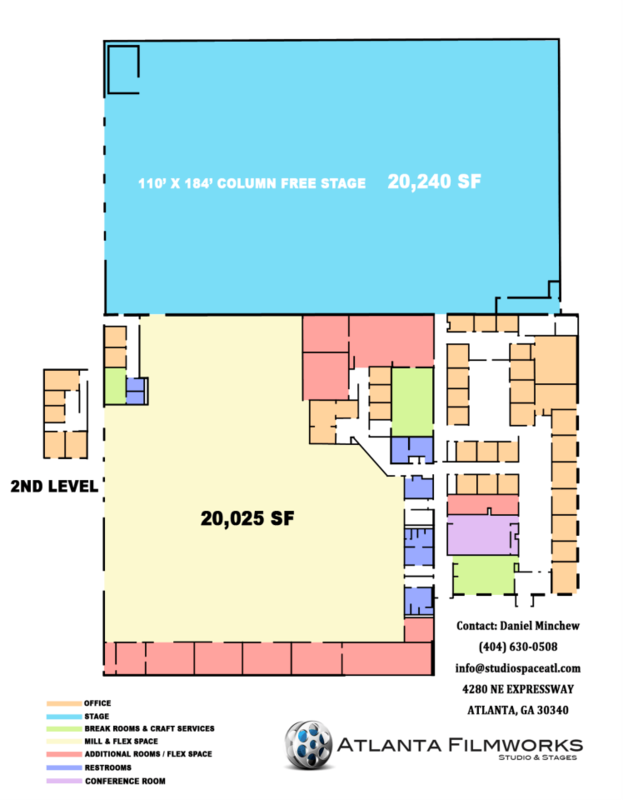 Below the photos is information on our large 57,000 sq ft film studio Atlanta Filmworks Studio. 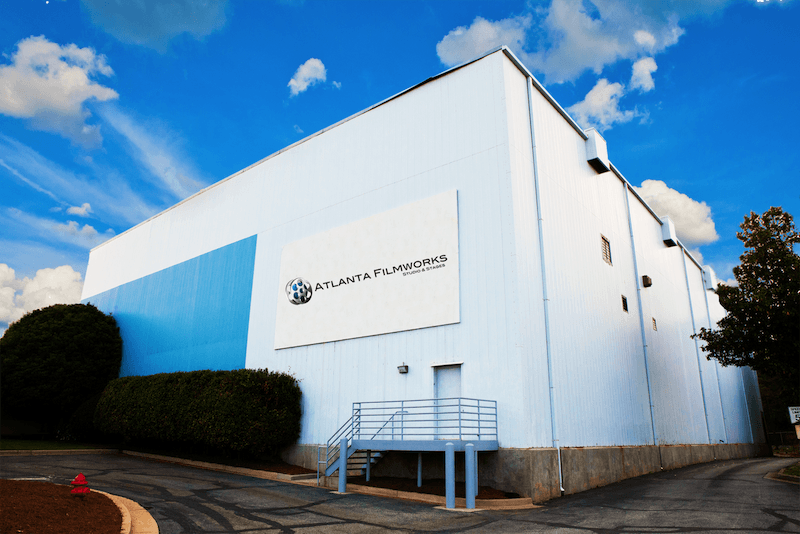 If a larger film studio is needed for your production please visit our other location at AtlantaFilmworks.com.